And editors also talked with other readers (and editors) about their editions of Shakespeare. 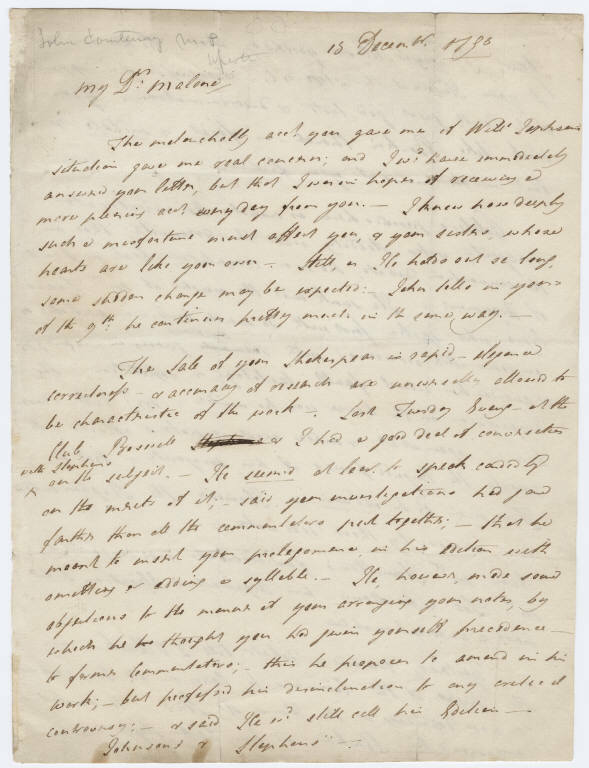 Below, a letter from John Courtenay to Malone, discussing the reception of Malone’s edition by Boswell, Courtenay and Shakespeare editor George Steevens. 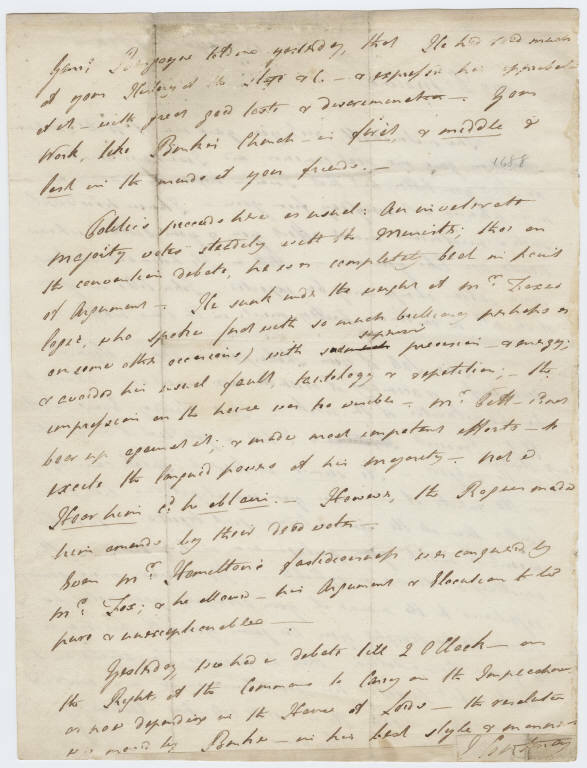 The curators are grateful to Ivan Lupic, graduate student in English at Columbia University, who pointed out that the letter discusses Steevens’ (rather than Boswell’s) objections to the edition, and offered the transcription cited below.